Thursdays from March 28th - May 30th! Players will enjoy a technical training session for 10 weeks learning ball control skills in a competitive but fun environment. 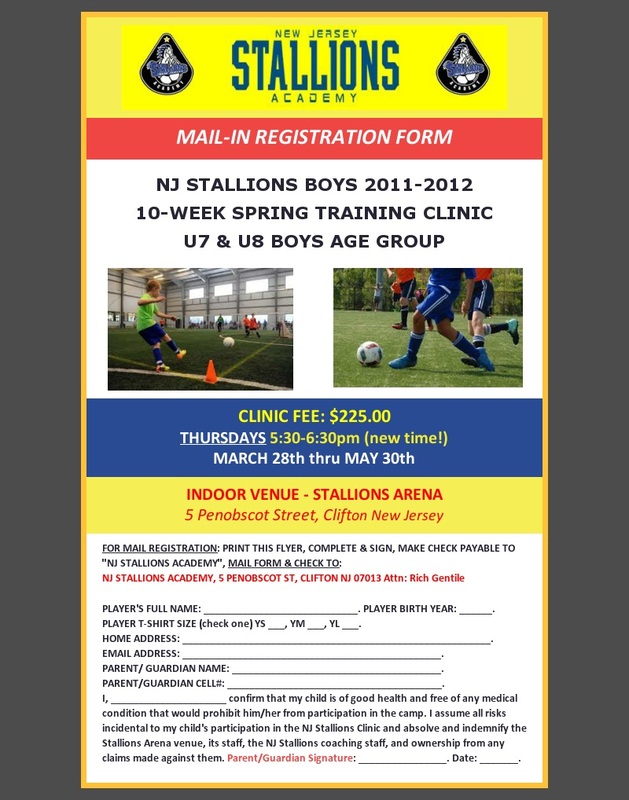 All sessions are run by NJ Stallions Academy USSF Licensed Staff Coaches. The clinic is strictly supplemental and will not interfere with player's regular club or travel team commitment. 2) MAIL IN REGISTRATION - Click PDF Button below to access mail in form for registration and Check payment.